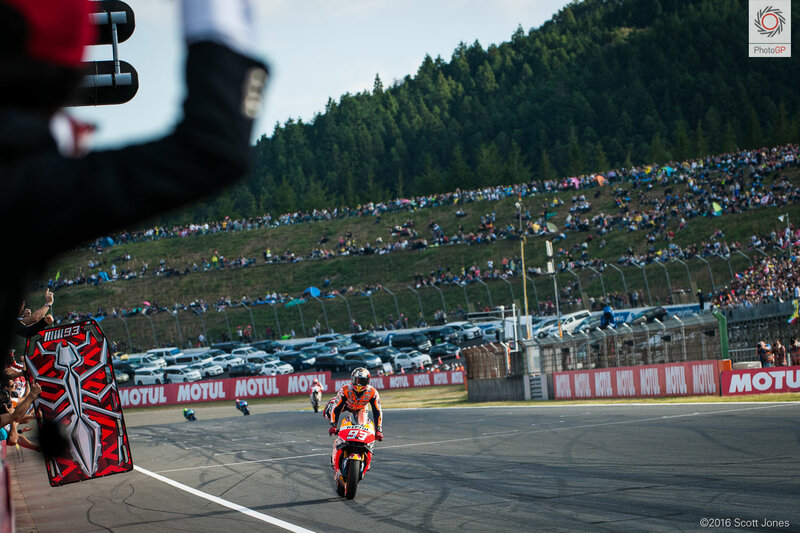 It came as a surprise to just about everyone involved, but Motegi saw Marc Marquez clinch the 2016 MotoGP World Championship title. 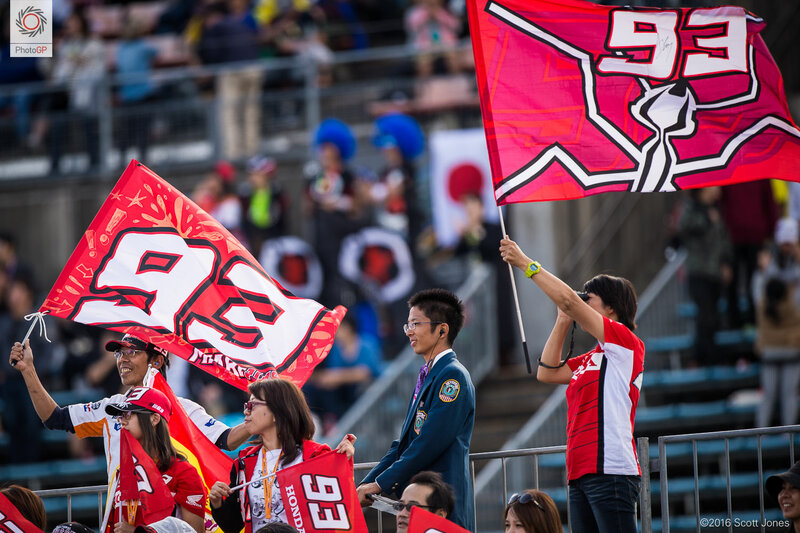 Winning the Japanese GP in the process, this victory marks Marquez’s fifth World Championship, and spurs the “Give Me 5” slogan for the affair. While many tipped Marquez to clinch the 2016 MotoGP Championship, it was expected to occur later in the season, as the mathematics to the Japanese required not only Marquez winning the race, but also Valentino Rossi and Jorge Lorenzo achieving lackluster results as well. These two rivals rarely make mistakes, so a race outcome where both Rossi and Lorenzo would find themselves far down in the race results would truly be a massive improbability. But, this is exactly how race day at the Japanese GP played out, with Lorenzo, then Rossi, crashing out as they pushed to catch the Repsol Honda rider, who lead them. In a way, the Japanese GP is a metaphor for the 2016 season. Marquez has been the man to beat this season, so far winning the most races of the season, but his championship victory has also been a result of his rivals’ failures. For varying reasons, Valentino Rossi and Jorge Lorenzo have between them 11 uncharacteristically poor race finishes, and only 5 race wins – two key stats in explaining how Marquez secured his third MotoGP Championship. It’s not fair to say that Rossi or Lorenzo lost the Championship, though. Their results are as much a reflection of their failures, as they are a reflection of their struggle to match the level set by Marquez every weekend. One must also considered for Marquez how the 2016 season is a direct response to his inability to secure the 2015 title, a loss that can be directly attributed to the Spaniard’s focus on winning races, and not managing results for the championship standings. 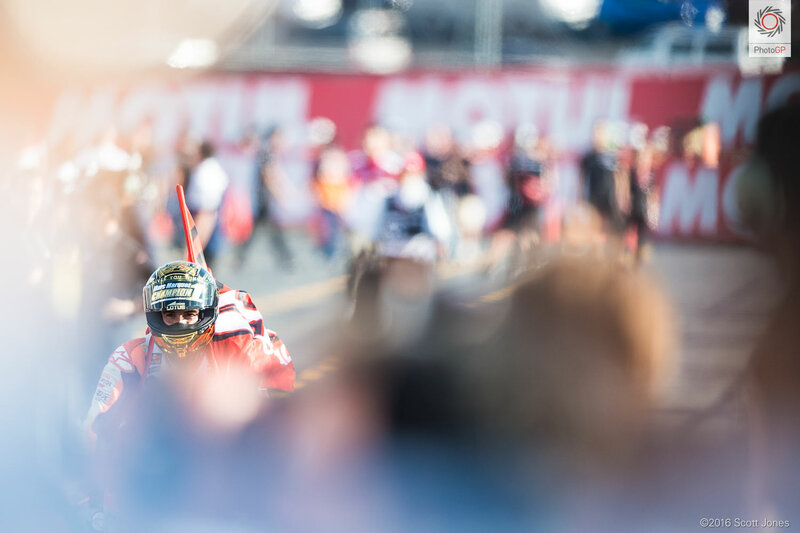 This was a bitter pill for Marquez to swallow in 2015, but one he learned a great lesson from, becoming a better rider for it in the process. The 2016 season saw Honda struggling with its racing package, and in-turn Marquez struggling for results on the Honda RC213V. Riding with a new intelligence though, Marquez picked his battles – pushing when he had the speed, and still cultivating points when he didn’t have the pace for the top podium step. This season has seen eight race winners, and Marquez’s willingness to settle for a podium is surely part of the reason for this. What Marquez manages to do each weekend on his MotoGP bike has always been truly amazing, but this year we saw Marquez take his race craft beyond pure talent. He now pairs it with mature experience. Those two elements are truly potent. His fellow MotoGP racers should take note. 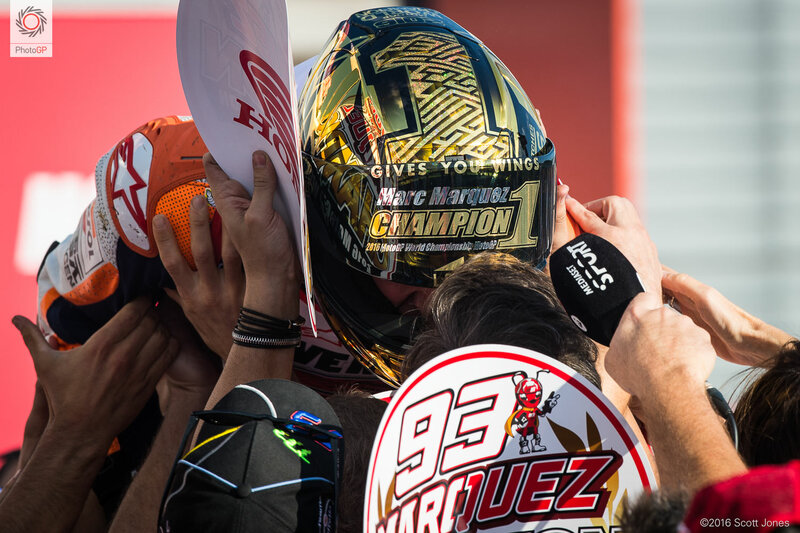 We doubt this will be the last MotoGP Championship claimed by Marc Marquez.